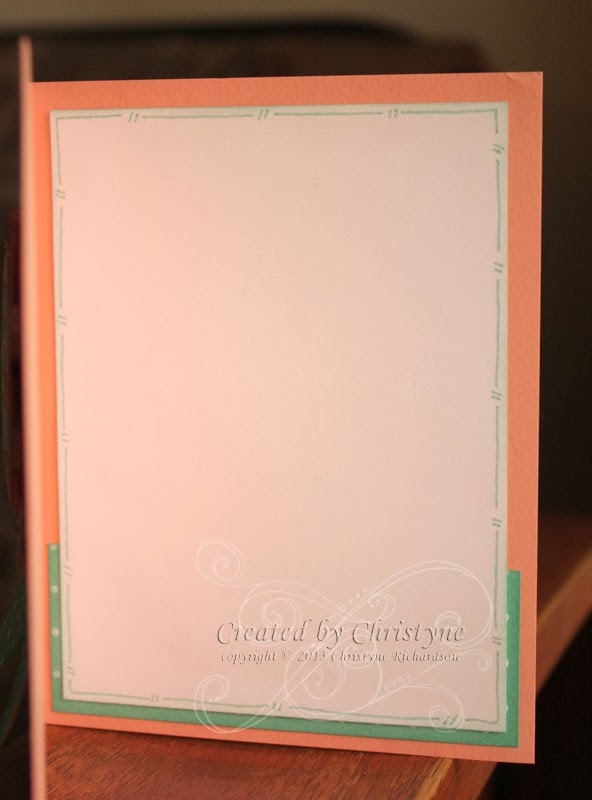 I started off with a Crisp Cantaloupe Base and added a partial layer of Coastal Cabana which was run through the Big Shot with the Chevron Embossing Folder. 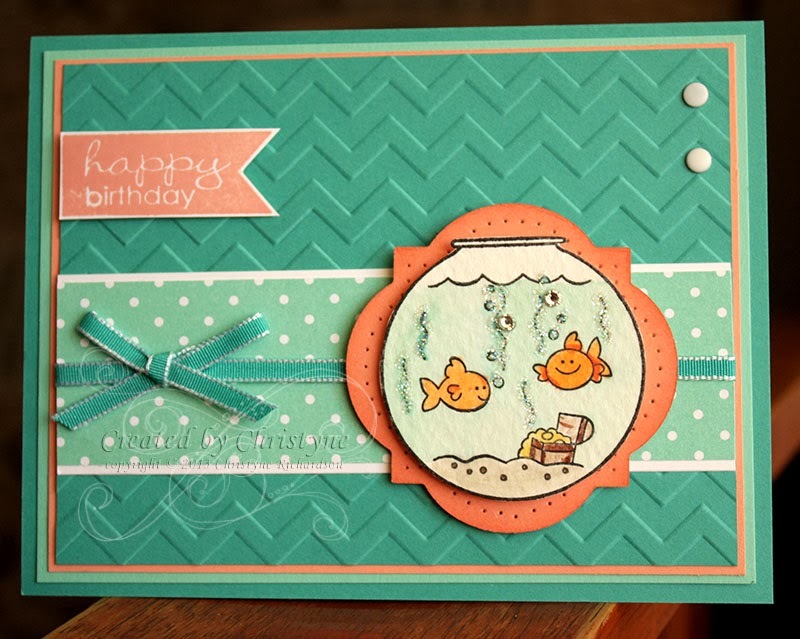 I added some sponging around the edges of with Coastal Cabana Ink and then did the same (sponging) with most of the other cardstock pieces. Check out that banner/flag! I only added adhesive to the top ⅔ of the flag so that I could curl up the edges for a little extra pop. My little fishies are matted on a piece of Tangerine Tango and then a piece of Crisp Cantaloupe. 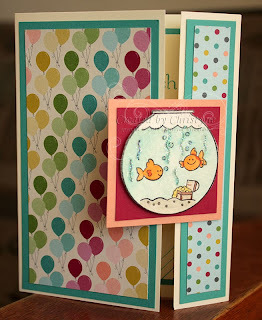 They were added to the card atop Stampin' Dimensionals. The finishing touch is the adorable little tag stamped with a sentiment from Pennant Parade and attached with a mini silver brad. A little hint to make your tag stay put - a teeny tiny dot of Mono Multi applied just under the notched end of the tag will do the trick! Now, the jewelry tag punch is no longer available, but you could use either the small ticket from the Ticket Duo Punch or a piece of the Word Window Punch. 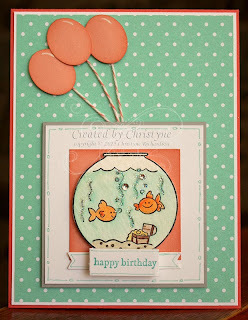 Welcome back to another Fishy Friday! I do hope you've been enjoying this little Fishy series. I sure had a lot of fun creating it! Today's card was inspired by one I saw on Pinterest. I didn't have everything the creator used on the card, so I improvised! I'm all about using what I've got on hand - and I have A LOT!! So, as I created the first four cards in this series all on the same day, I used a lot of the same colours. 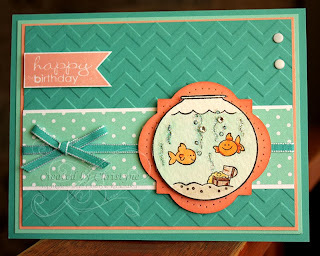 Besides, the fishies look SUPER cute when paired with Bermuda Bay, etc. My base is Bermuda Bay with layers of Coastal Cabana and Crisp Cantaloupe. 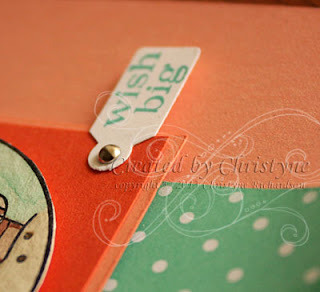 I then added a smaller layer of Whisper White and Coastal Cabana Designer Series Paper. 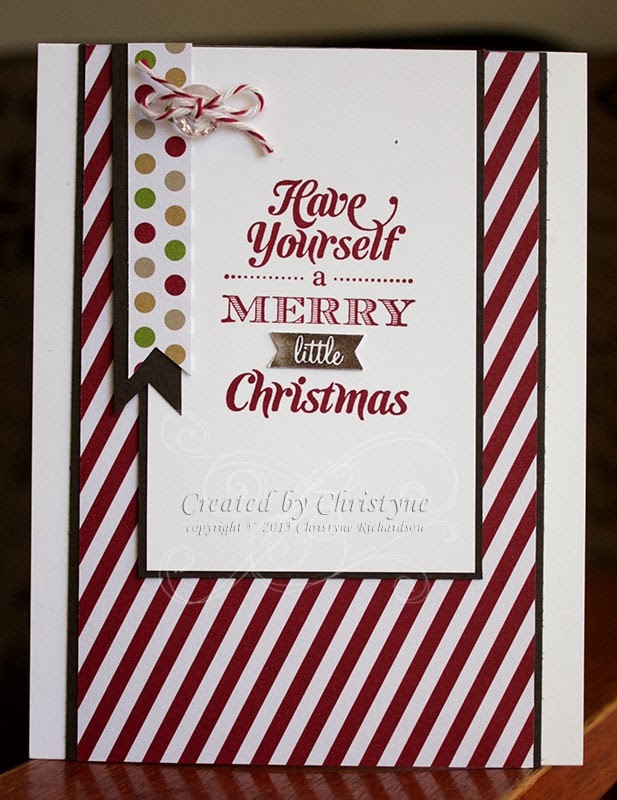 I love the skinny ⅛" taffeta ribbon! 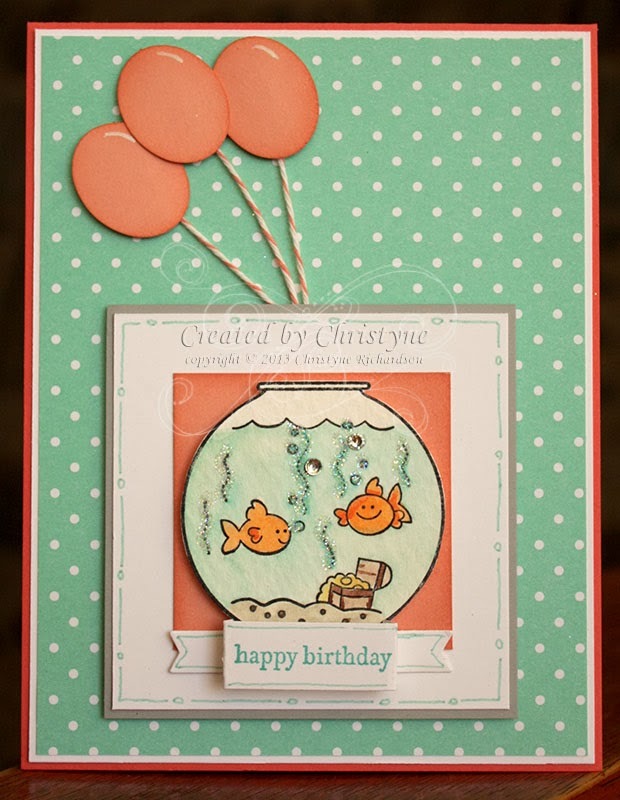 You can add it anywhere for just the right touch and it doesn't overwhelm the card. 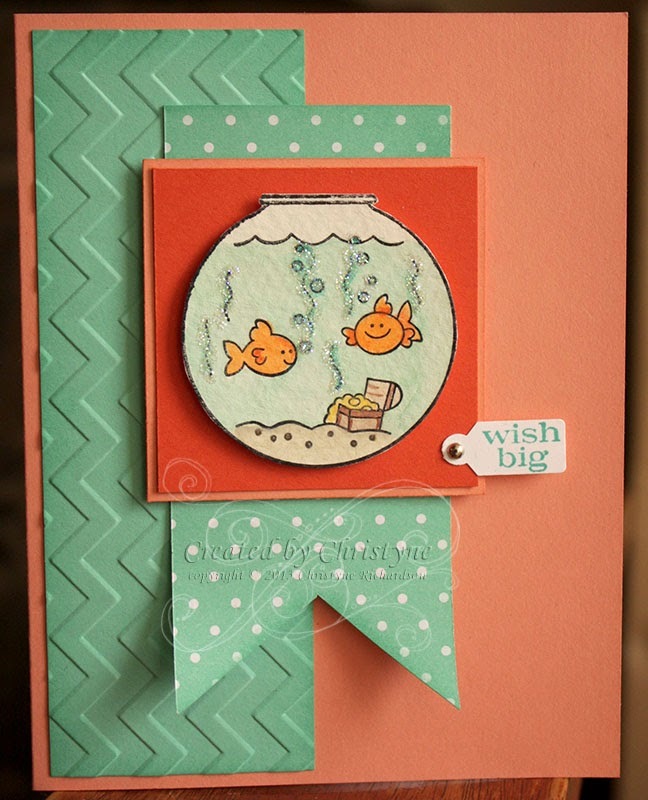 I added the fishies to a cut Window Frame (Big Shot) and then stamped the sentiment using Crisp Cantaloupe. Just click this image to go directly to my online store! Did you get my newsletter? I sent it out this morning with a special offer for my newsletter subscribers and it's valid today ONLY! If you're not on my list, join up NOW by clicking on the "Join our List" on the right side of my blog. I'll re-send this special newsletter periodically throughout the day to new subscribers. Have YOU started your Christmas shopping yet? No? Uh oh!! Lucky for you THIS is coming up this weekend! Also lucky for you, I'll be there!!! Good Morning! 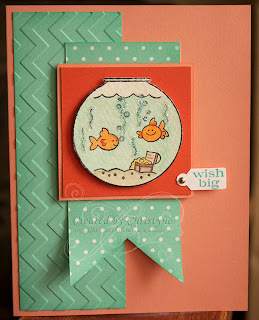 Happy Fishy Day! It looked a little "blank" with just the sentiment and I didn't want to doodle all the way around on this one, but it still needed something. So, I took out my ruler and my Bermuda Bay Marker and went to town! I like the little pop of colour in the bottom corner. Happy Friday!! OH. MY. GOSH. I *know* it's only week two, but this has GOT to be my favourite card! I just can't believe how stinkin' CUTE it is!! I looked at my Colour Coach to see what (other) colours went well with Coastal Cabana and my Colour Coach told me Calypso Coral and Smoky Slate. Sure. Why not? So, my base is Calypso Coral with a layer of Whisper White and then a layer of Coastal Cabana Designer Series Paper. My little fishies are resting on apiece of Crisp Cantaloup (sponged) and a piece of Whisper White backed with Smoky Slate. 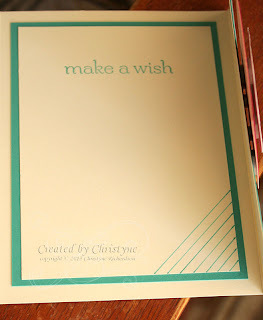 I stamped the "Happy Birthday from Teeny Tiny Wishes onto Whisper White and then cut it out using one of the banners from the Label Card Thinlit Die. It puts all the score lines in for you, so there's no guessing as to how to fold it up - PERFECT! When I saw the card below created by Jen Timko, I just knew I had to recreate it and I also knew that my class participants would LOVE IT! I wasn't disappointed - they were thrilled! 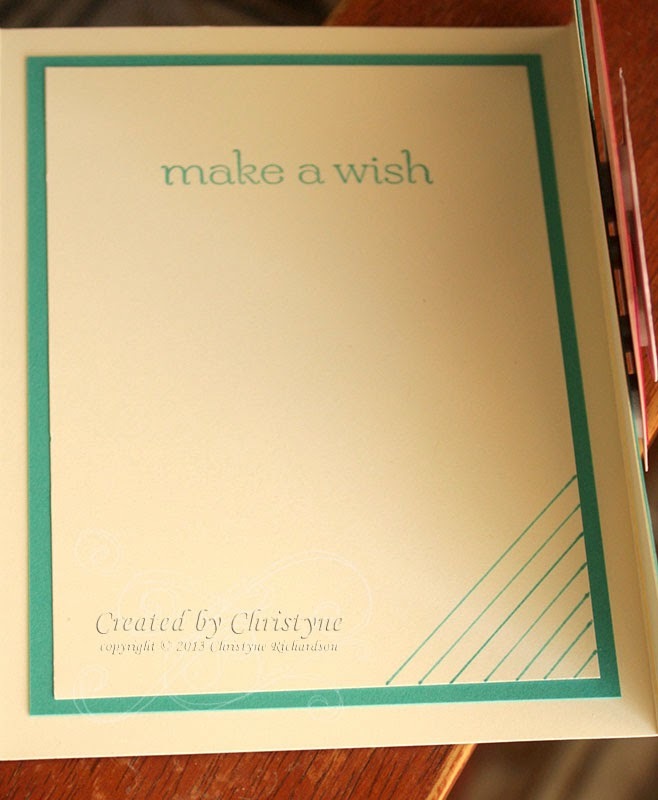 Each card used one sheet (with leftovers) of the Season of Style Designer Series Paper stack. 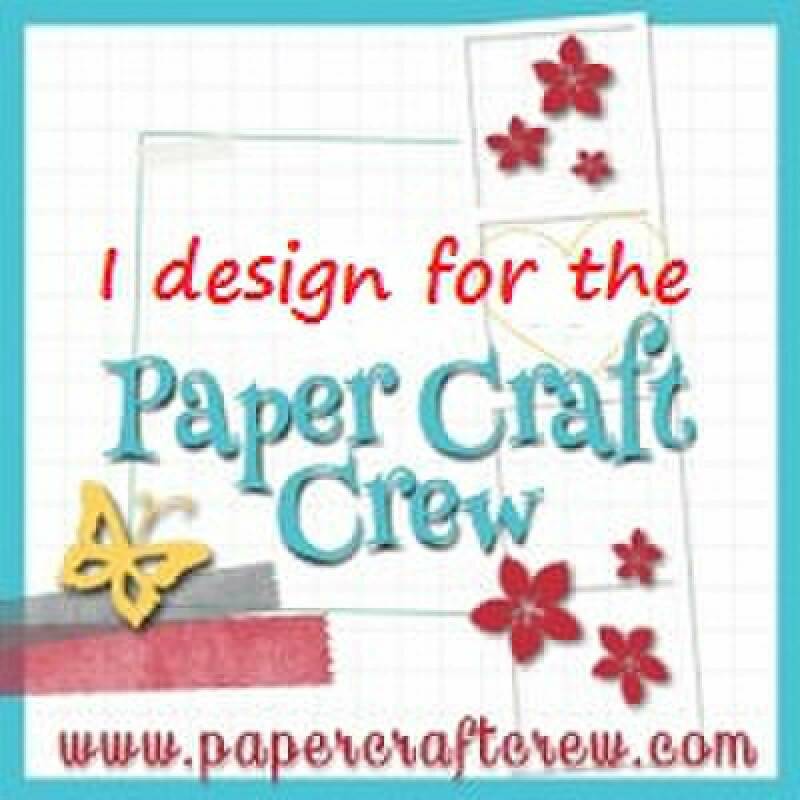 This is GREAT because you get 24 sheets of EACH double sided design, so if you had 24 cards to send, they would all be the same! 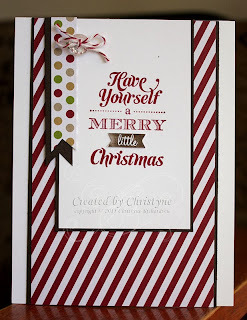 If you're wondering about the "little" in this sentiment, it was stamped in Cherry Cobbler along with the rest of the sentiment and then I inked it up with my Early Espresso marker, stamped it on a scrap of Whisper White Cardstock and cut it out. It's November 1st, so you still have plenty of time to order all the supplies you need for this card and get them in the mail before Christmas. Get in in Clear Mount ($21.95) or Wood Mount ($24.95) along with everything you see above and you're ready to go - everything is pre-cut!! 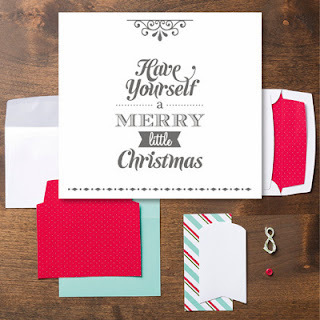 All you need is adhesive & ink and your cards will be in the mail before you know it. with thanks to Jane Hignite!